The offices of Greg Nelson include some of the best and brightest in criminal defense, dedicated every step of the way to providing the legal counsel you need. We have put together just a short list of the things you can and should expect upon engaging our services. It should go without saying that your lawyer should know the law backwards and front, but too often we hear about lawyers working passively to support their cases, rather than actively seeking out the laws and regulations that can benefit their clients. A regular part of criminal proceedings includes negotiations, often for plea bargains that will help mitigate or eliminate charges against the defendant. 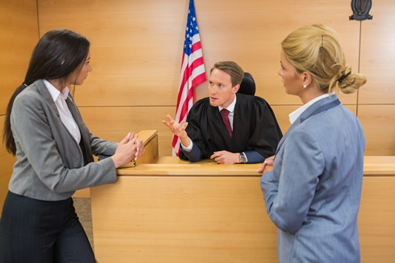 A good criminal defense attorney will be a skilled negotiator. While the legal world is naturally a complex thing to navigate based solely on the laws themselves, there are also many “unwritten” rules of the system that a defendant can rely on a good defense lawyer to help them navigate that complicated terrain. One of the valuable assets of accomplished criminal defense lawyers is their networking with other professionals. They can employ skilled investigators that can help better establish the case by learning more about both the alleged crime, and the witnesses called by the prosecution. We are here to help you, and our passionate team knows how to help defendants navigate the criminal justice system and come out with the best results that they possibly can. To learn more about the benefits of criminal defense lawyers, or for a consultation, contact us today!